The crew have created a genre-defying world with its own mythology, plus some huge tunes along the way. 808INK are a small crew made up of rapper Mumblez, producer 808Charmer, and their visual collaborator, Pure Anubi$. They want to make you forget everything you’ve heard from U.K. hip-hop artists before. It’s tricky to even label the group as “hip-hop.” While rap is a clear influence, 808INK also have a habit of producing house beats, skewed James Blake-like vocal chops, heavy metal interludes, and incorporating samples that roam from the Arctic Monkeys to Jai Paul. 808Charmer started out as a live drummer for artists like M.I.A. 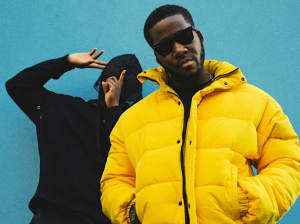 and Tinie Tempah, and as the story goes, he connected with Mumblez when he heard him rapping on a video shoot. The pair make their music in a garage, and shoot all their videos with director Anubi$ in the super south east London area of Deptford. By keeping within their own bubble, they’ve come up with something totally separate from the rest of the U.K. rap scene. The crew are even inventing their own mythology: In 2013 they described their output as “dreality,” hovering in the space between dreams and reality. And the word that pops up in every description they give of their sound or style is “gully” — raw, real, and from the streets. As Mumblez told Noisey in 2015, “You can’t really find the comparison to 808INK. How many artists on the forefront are you really going to say that about?" Here’s everything you need to know about this singular crew’s world. 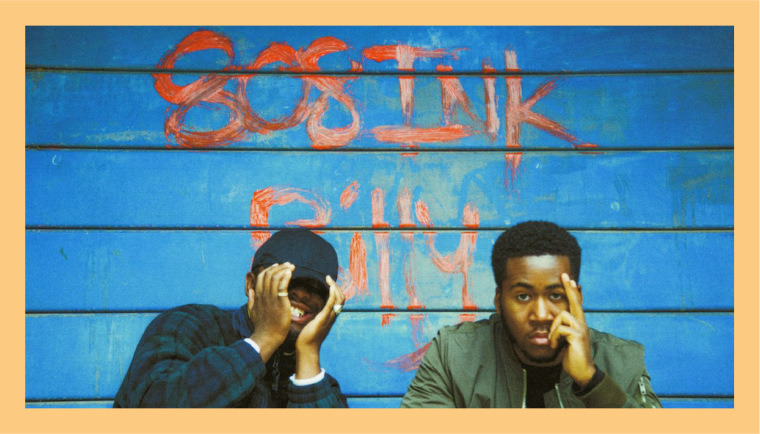 808INK have been around since 2013, when they dropped their eight-track mixtape an Artistic piece. Their videos are crucial to the experience. 2014’s “Vacuum Love (DREAM’SCAPE)” feels like a Beyoncé-style visual thesis. But it was with their 2015 LP, Billy’s Home, that they really stepped up. The album opens with this scream-a-long anthem for disenfranchised youth. The project centers on a character called Billy, who’s frustrated with the soullessness of his city. They shot the video for the Jai Paul-sampling album cut “Crooked.Bad” in the corridor of Mumblez’ apartment in Deptford. The crew describe themselves as not being from London but "Lundun." As they explain in this interview, the concept comes from their sense of detachment from the expensive city. Since the LP’s release they’ve stayed prolific, dropping curveballs like this collaboration with producer JD. Reid. And on May 16, they dropped this ridiculously fun single “DRIVING CUT,” featuring fellow London oddball DanielOG. The future is gully.